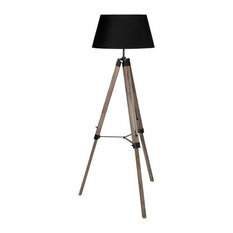 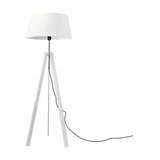 As their name would suggest, tripod floor lamps usually have three legs and resemble a camera tripod. 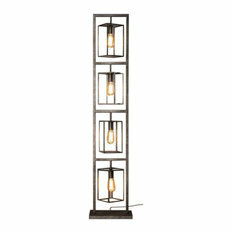 Their bases are usually made from metal or wood, and they look fantastic in modern and industrial style spaces. 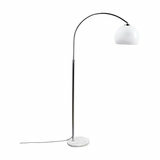 Arc floor lamps (also known as arched and curved floor lamps) are a lovely way to add some light over a seating area, desk or table without needing to install a ceiling light. 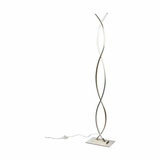 The graceful curve of the arm makes them a stylish addition to any room. 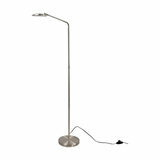 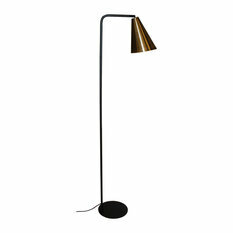 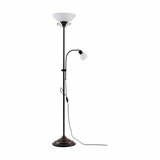 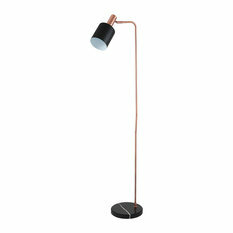 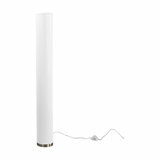 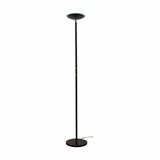 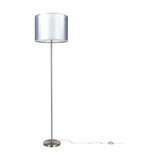 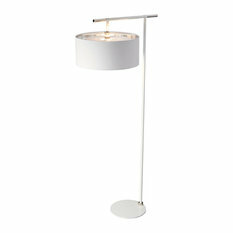 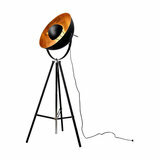 Uplighter floor lamps direct the light upwards to soften the overall effect and create a warm and comfortable ambience. 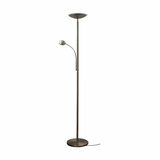 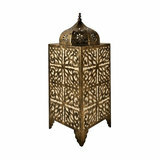 This makes them excellent lamps for lighting warm and cosy spaces such as your living room or bedroom. 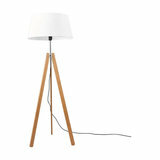 How tall should a floor lamp be? 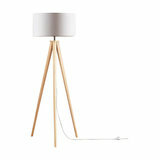 When deciding on the height of your floor lighting you should consider where the lamp is going to go and its purpose. 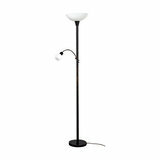 Is it a reading lamp? 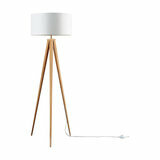 Is it for watching TV? 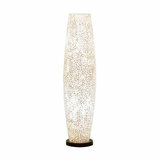 Or is it to brighten the entire room? 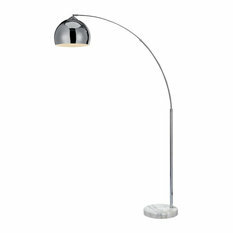 A reading lamp shouldn't extend too far up or it won't be able to shine light where it's needed, whereas a floor lamp that's meant to add overall light to a space will need to be a bit taller, so it can spread light throughout the room. 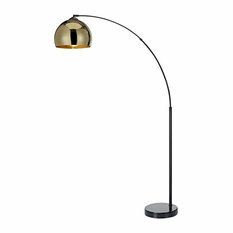 What style floor lighting should I look for? 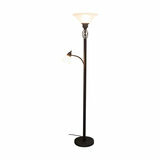 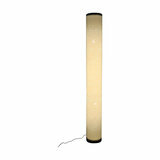 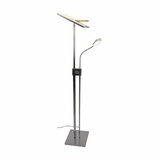 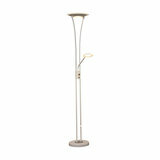 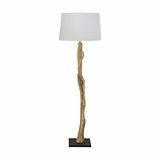 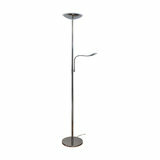 Floor standing lamps can be as simple or decorative as you desire. 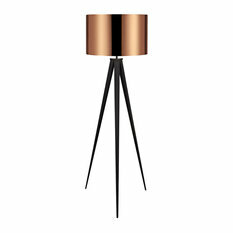 Copper floor lamps look stunning in homes with contemporary or industrial styles, whereas wooden floor lamps look beautiful in homes with Scandinavian or modern decor. 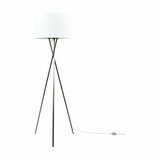 When it comes to choosing a floor light decide whether you want it to be a statement piece or blend in with the rest of your decor and this should narrow down the selection process. 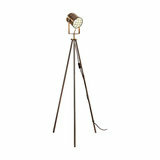 No matter whether you settle on a tripod floor lamp, outdoor floor lamp, arc floor lamp, copper floor lamp or wooden floor lamp, Houzz is bound to have the perfect floor light for your home.